Intel's Mobile Processor's: 5th Gen Intel vPro & 6th Gen Intel i3, i5, and i7. Intel’s Mobile Processor’s: 5th Gen Intel vPro & 6th Gen Intel i3, i5, and i7. Intel, the semiconductor manufacturing company is known for the processors it manufactures. When it comes to anything related to processors, the first company which comes in mind is Intel. According to a report on Dazeinfo the upcoming years are to see a huge smartphone users growth. We are lightening generation. We want everything at out fingertips. I remember when we were young how our lives revolved around our computers. There used to be a time when there were systems which had chipsets which supported only 64 MB RAM and that used to cost high and was said to be the most high-end chipset. Whether it be using paint to portray our creativity, using word to write down an essay, listening to a song or watching the Backstreet Boys rock the computer. Computers have been our best friends ever since they stepped into our lives. But things have changed due to the immense evolution in the mobile industry. There has been an apparent shift in our best friends from computers to mobile phones. The biggest reason for that is surely the fact that we can carry mobile phone to any place we go. In this greedy world, the performance of the processors have not not matched the users greed, as the smartphone industry is seeing growth, the greed for high-end processors is also increasing. Intel has launched new processors for smartphones. They have built the processor keeping every profession in mind – The Gamers, The Creators, The Musicians, The Artists, etc. With the new Intel processors, I’m sure that the hunger for speed will be satiated. Not just that, a lot of other features of the mobile like battery life, visual experience, etc. gets enhanced once it has any of the following processor – 6th generation Intel Core i3 Processor, 6th generation Intel Core i5 Processor and 6th generation Intel Core i5 Processor. The newly designed 6th Generation processors for mobile comes with a new micro-architecture design that delivers fast performance with a very good management of power. The power management credit goes to the Turbo Boost 2.0 which dynamically controls power and performance for cores and graphics. It has been designed in such a way that it boosts performance when the situation demands and saves battery otherwise. Performance enhancement can be credited to some other features as well. They are – Integrated Memory Controller (it boosts memory performance by prefetching algorithms, lower latency and higher memory bandwidth) and Intel Smart cache (it allots memory dynamically in cache to each core of the processor based on workload). The Intel Hyper Threading Technology (Intel HT Technology) helps support two cores and four threads in Y-series and U-series processors. Highly threaded applications get more work done parallel and in a shorter time. Intel will be introducing its first mobile K SKU with enhanced overlocking through BCLK and DDR4 overlocking and quad-core processing for i5 in mobiles with the 6th Generation Intel Core processor. With an elite mixture of Intel HD graphics (playing HD videos, viewing and editing photos and playing latest games on your phone), Intel Iris graphics (better video and photo editing) and Intel Iris Pro graphics (amazing graphics performance to enthusiasts, content creators and gamers demand), Intel bring to you sky touching visual effects at HD 4K. These effects help you create videos or similar stuffs or play games at another level altogether. Programmers can easily play around with features like OpenCL 2.0 to support graphics programmability. Viewing videos and images on the phone is also enhanced. The Intel Quick Sync Video delivers high end picture quality during video calls, faster video conversion. It will also boost your online tasks like online sharing and fast video editing. Intel Clear Video HD helps in enhancing HD playbacks and immersive web browsing. Intel Wireless Display helps you stream your media or any online media to HDTV with a wireless connection. There are three series for the processor – Y-series, U-series and H-series. The H series gives you additional execution units, the U series gives you eDRAM (on selected processors) for exceptional compute and graphics processing power which helps the boost in visuals. The 6th Gen Intel core processors give a solution to battery life as well. Any new feature is accompanied by the fear of how it will affect the battery life. As mentioned earlier, the processor boosts performance when situation demands and saves battery otherwise. For example, in situations like video playback or video calls, a new low power media transcode enhancement helps reduce power consumption. Also, the batteries have been made thinner and lighter. The 6th Gen Intel core processors come in 3 different series i.e. the Intel i3, i5 and i7 which comes with different models based on the cache and clock rate. 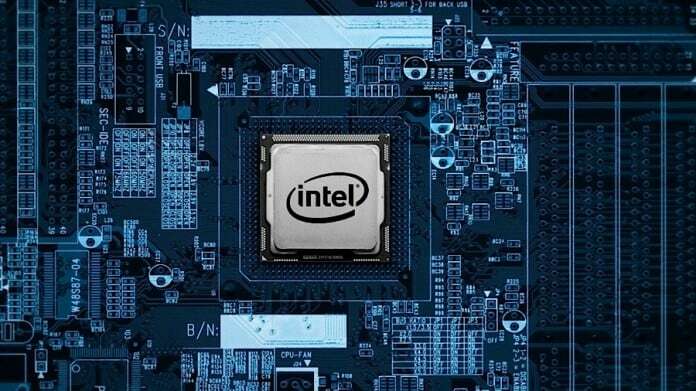 Out of all the processors, the Intel i7 processor has 6 different models price beginning from $378 – $568. Check the comparison of all the 6th Gen Intel i7 processor for mobiles: Comparison between all 6th Gen Intel i7 processor for smartphones. The processor has a good clock rate but doesn’t have enough number of cores, so multitasking would be an issue while playing high-end games, However, the Quad core version of the Intel i7 processor for smartphone would do good when it comes to multi-tasking, but costs high. The pricing set by Intel, according to its standards is good, but it would be difficult for Intel to compete with Qualcomm because of the pricing. Going through the specs, any Intel processor would be able to play the high-end games like NBA 2K15, Modern Combat, Game of Thrones etc. But throttling and heating issues will be seen while multi-tasking. The Intel i5 also comes in 4 different models whose price range begins from $250 and ends at $281. The comparison between all the 4 models of the i5 mobile processor can be found here: Comparison between all Intel i5 mobile processors. The Intel i5 skylake comes with a lot of intel features which will improve the overall performance, Having a high clock rate with less cores is the problem, but the Intel’s hyper threading technology will take care of multi-tasking. But there are chances that the Intel i5 processor for smartphones might face heating issues. 5th Gen Intel vPro Processors. These processors are most suitable for laptops and tablets. The 5th Gen Intel vPro processors is most suited for the Enterprise level devices. There are many enterprises which provide a tablet/laptop to their employees, the vPro processors work best for those tablets. The 5th Gen Intel vPro processors feature a wireless display, has good security, it works faster and can be found and fixed anywhere. It is one of the best form of Wireless convenience, as it automatically connects to your keyboard, mouse and other USB accessories enabled by Intel Wireless Gigabyte Technology. With the Intel® Unite™5 technology on the 5th Gen Intel vPro processors, Meeting can be connected and held in a smarter way, as it won’t take time to connect to projectors and other required accessories. The prices of the processors (chipset) noticeably high, We also know many of the high-end gadgets which come for that price, but all these processors will easily be able to handle high-end games like NBA 2K15, Modern Combat, Game of Thrones etc. The processors are just launched and will be available in the market soon with many devices. Previous articleHow to Get Back Missing Toggles in Galaxy S6/S6 Edge quick settings. Next articleSymetium: Smartphone with Snapdragon 820, 6GB RAM & Storage UPTO 256 GB Listed On Indiegogo.